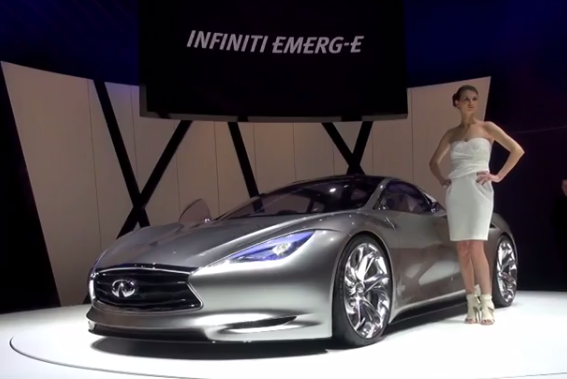 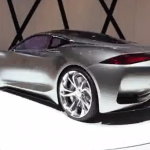 Infiniti Emerg-e was a electric concept car created by Nissan Motors Infiniti division that was first shown an the 2012 Geneva Motor Show and later as a working prototype at the 2012 Goodwood Festival of Speed. 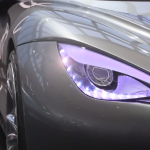 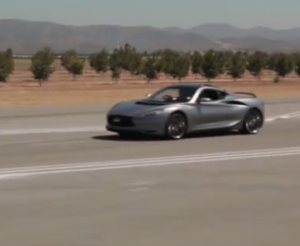 The EV was styled in the USA but developed in the UK and shares many features with the Lotus Evora chassis. 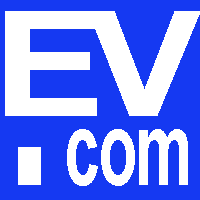 Four electric motors (two on each rear wheel) power the EV for 30 miles (48.3 km) on all electric range, then a 47 bhp (35 kW; 48 PS) three-cylinder 1.2 L (1198 cc) fossil fuel engine generator turns on to recharge the lithium-ion battery pack, which puts the EV in the Series Hybrid class. 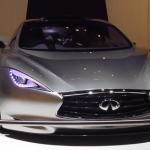 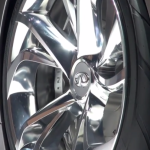 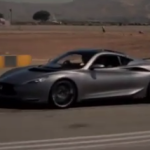 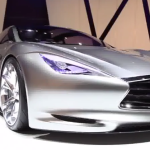 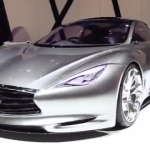 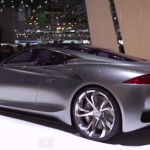 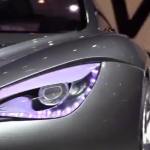 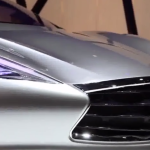 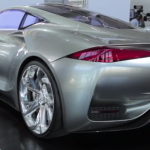 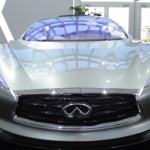 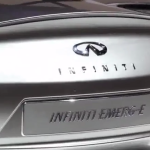 The Infiniti Emerg-e has relatively light weight due to having carbon fiber weave construction.